How sad….hope the donations flow in. She really is a beauty! that is so sad Gilly. I hope the funds are found to move her. How much do they need ??? Please keep us updated. Now that breaks my heart. Fifi does looks sad. She reminds me of people in real life, waiting, hoping, longing. I have hopes though that she will find the companion she seeks or swan friends who will keep her company. Beautiful post. Aquatic creature together with solitude. So sad, how do the reduce their mental pressure. Rahul the story of your engagement is beautiful! Ahhh, poor, lonely creature. Fingers crossed she gets to Dawlish and finds a mate. What a good way to get the word out, with your great portrait of her. Hope there is a happy ending and she is no longer solitary. This is a brilliant post about David Brancaccio’s journey! I hope that she soon has the male company which she’s probably craving. She looks really lonely. I was going to post something very similar! Lovely! Gilly, I’ve posted late today. I too knew exactly what I was going to post. One of mine is very similar. Yours is better, though, somewhat more unusual. What a handsome swan. Goes to show you, even the beautiful are lonely. So sad. Gilly, this swan is beautiful! Do keep us posted. We want to know what happens. 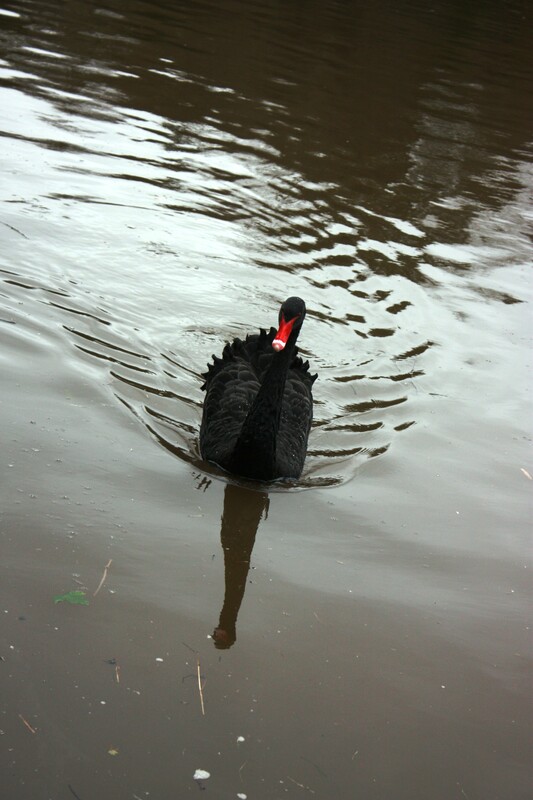 Beautiful black swan image… love it..
Awww…poor Fifi. She’s a beauty. Awww … Misery loves company. Please give Fifi one. She still has her head held high – swans are so elegant! OMG … lots of thoughts come to mind but rejection is at the top. I feel her pain. This is a good photo but very sad. I hope she find her place.